I always wondered how fluffy white clouds were made. 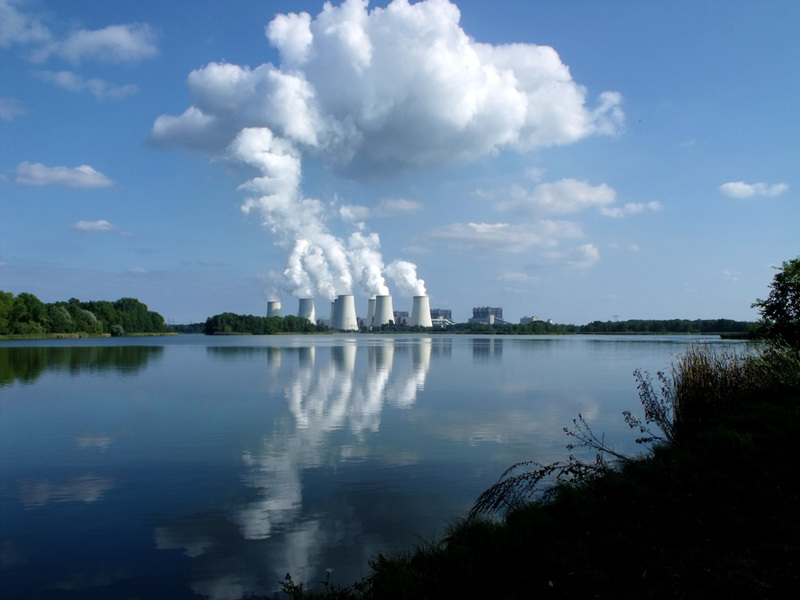 There's a factory north of Cottbus that produces them for Brandenburg! Nah, actually it is the Jänschwalde coal-fired power station. Not such a beautiful thing after all. 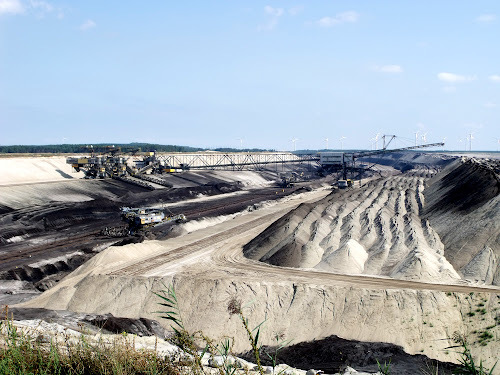 Now, this is the scene a few kilometres south of the power station where the lignite (brown coal) for it is mined by gigantic (and I mean GIGANTIC) diggers. We went to see one of those diggers elsewhere last year. These though are continuing production until 2018; then the whole moon-scape will be flooded to create a new lake just like the one above. Here is another view showing a bit more of the devastated landscape. The scene from the Aussichtspunkt ('viewpoint') is so unexpected, and stretches far left and right and to the horizon, that it is terrifying. Good to see the large wind-farm in the distance though - there lies the future! The issue of brown coal (lignite) mining is a dirty issue in Germany, a country that otherwise has a good record for its renewable energy program and its decision to phase out nuclear energy. Greenpeace activists have just this week been protesting at the site of proposed brown coal mining expansion near the village of Proschim, which lies not many kilometers South of where these photos were taken. 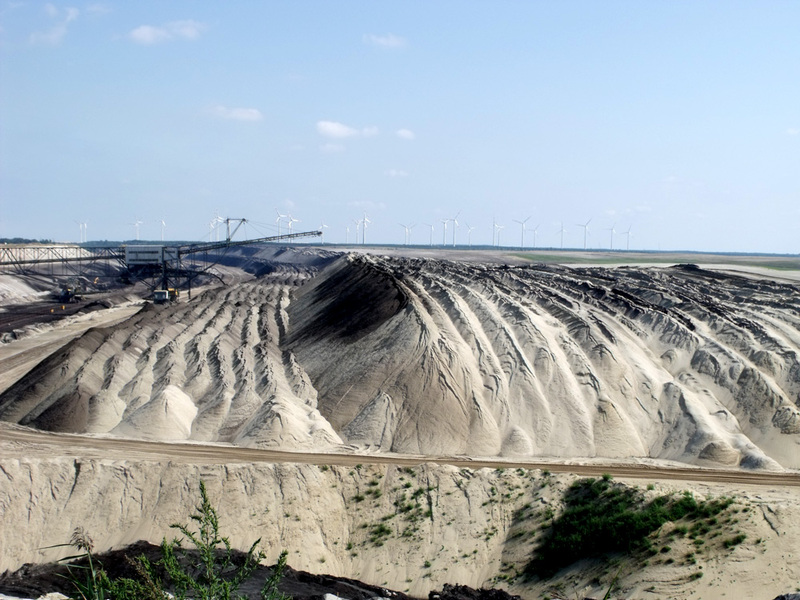 Find out more about open-cast strip mining of lignite and the proposed mining at Proschim here.